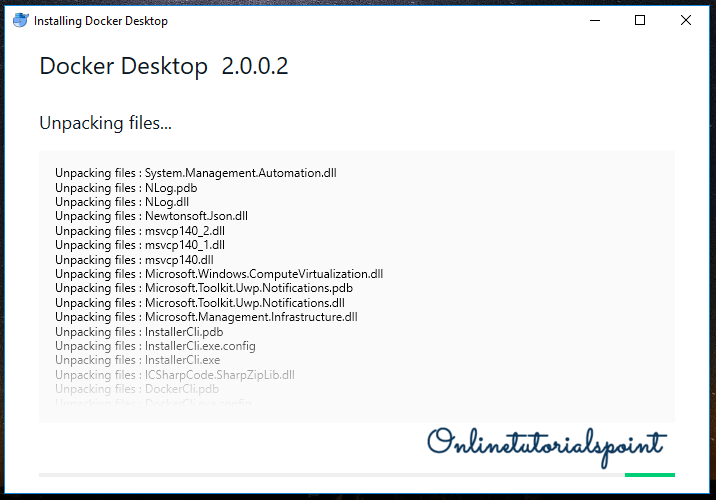 In this tutorials, we are going to show how to install Docker Desktop on Windows 10 operating system. 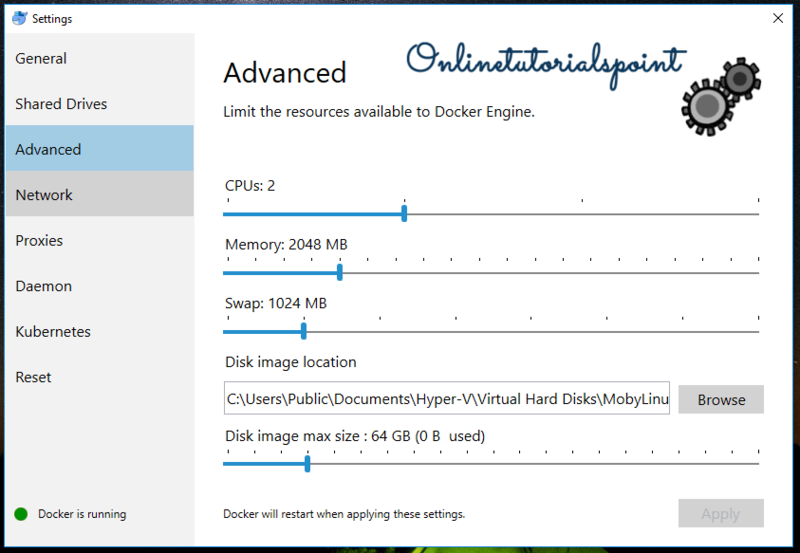 Step 1: Get Docker Desktop from the official docker hub. 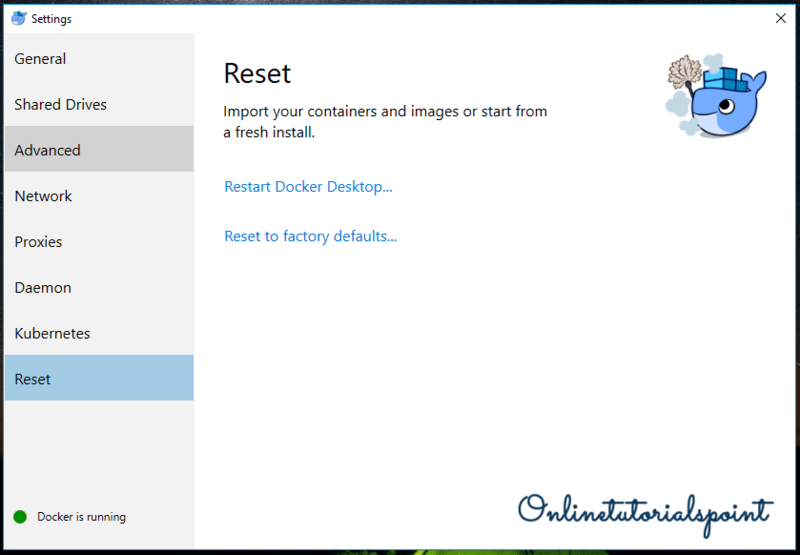 Click on Get Docker button, will download the Docker for Windows Installer. Step 2: After successfully downloaded, double click on the Docker For Windows Installer file then you can see the below window saying downloading packages. 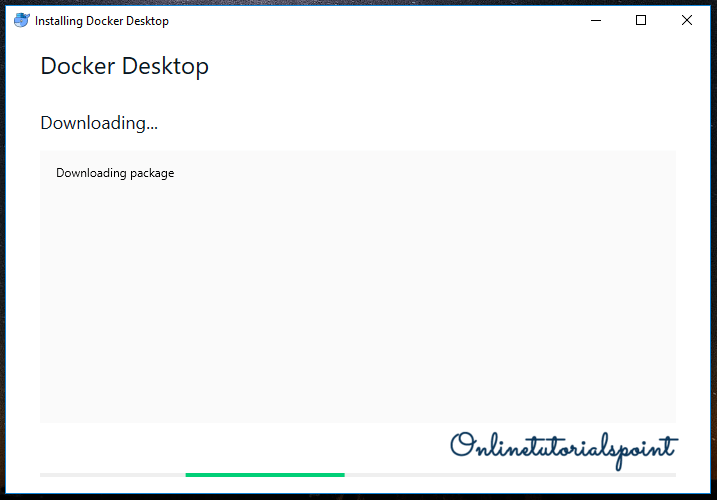 Step 3: Soon after you can see the below window, asking for Add the desktop shortcut. You can leave it as is and click on Ok. Step 4: Now you can see the installation process. 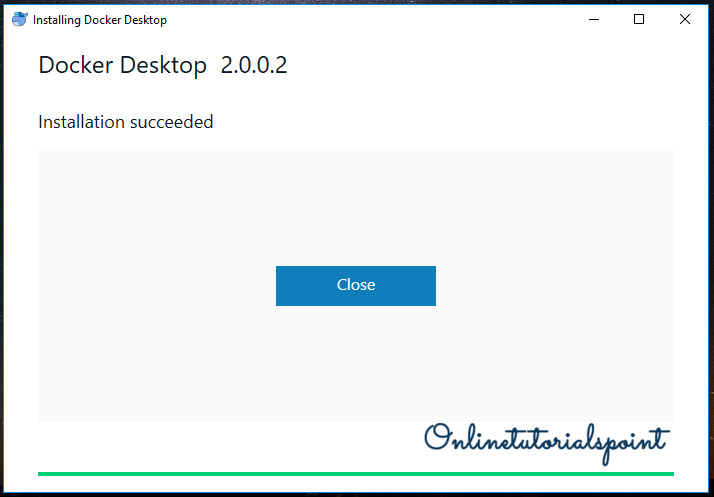 Step 5: If everything is done well, you can see the below success window saying Installation succeeded. Click on Close. 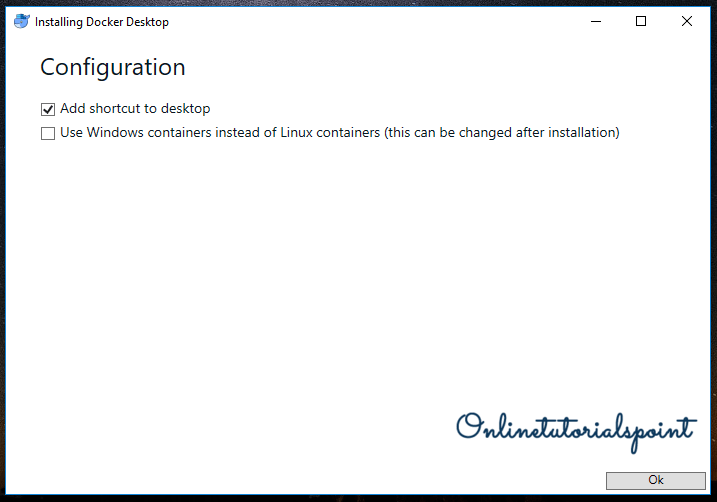 Step 6: Then go to windows command prompt and check for the installation confirmation. Check the installed docker version. Note: This saying error during connect docker engine. Its because of docker daemon is not running, you can ignore this for now because we not yet started docker daemon. 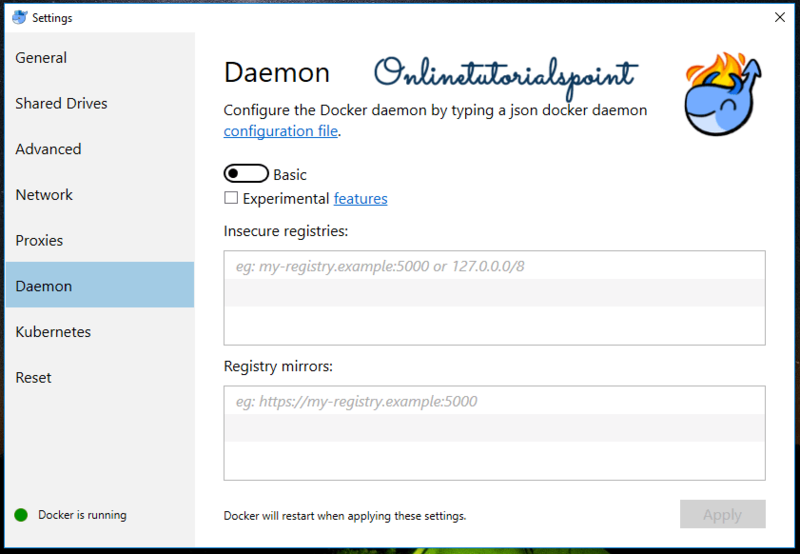 Step 7: Now let’s start docker by double-clicking on the desktop icon, it will take a while to start docker daemon. After a successful start, you can see the below window asking for docker hub credentials. 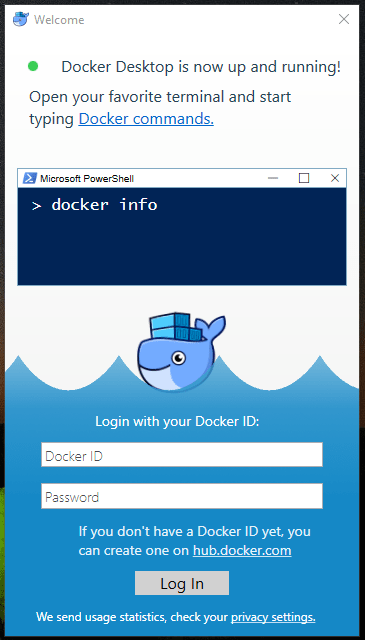 If you have your docker hud credentials you can directly login from here. That’s it, now the docker desktop is successfully installed on Windows 10 operating system. After all the above steps done successfully, you can see a small docker icon on your windows taskbar like below. Right click on the docker icon there you can see the settings option, click on Settings you can see the below window having all the docker related setting tabs. Here you can setup docker startup, updates and statistics settings. 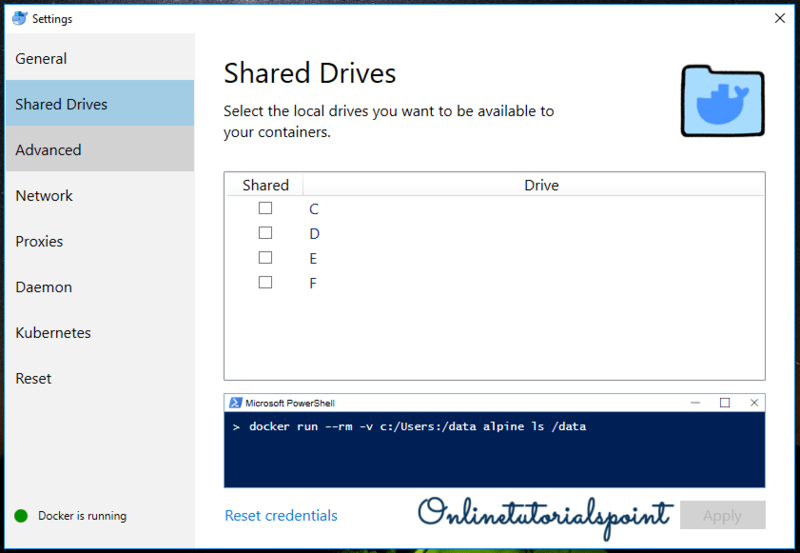 If you want to make available your containers to a specific drive, you can do the drive settings here. Advanced settings are all about defining a number of cores, memory allocations. By default number of core defined based on your system settings and memory allocation would be 2 GB. You can freely alter this setting at any time. 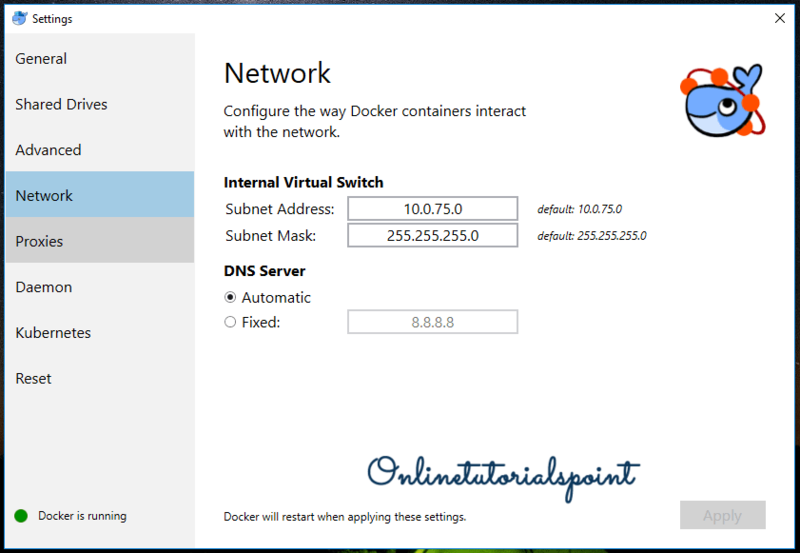 Configuring the way Docker containers interact with the network. 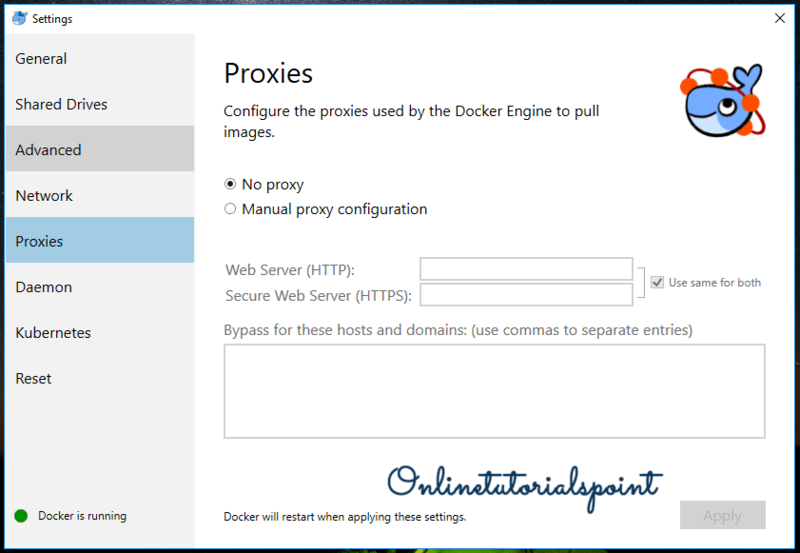 It is used to configure the proxies used by the docker engine to pull the images. 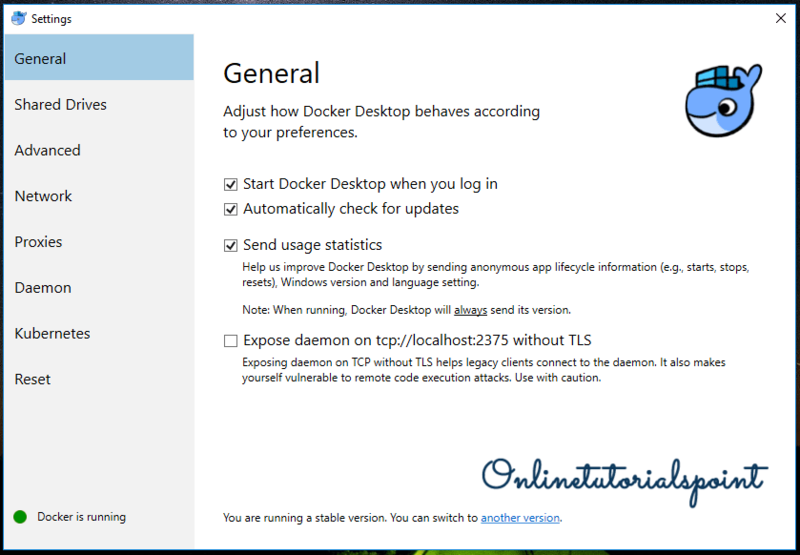 If you wanted to set the docker daemon settings, this is the right place to modify. Click on the configuration file hyperlink and do your modifications. There you can enable the kubernetes for docker. 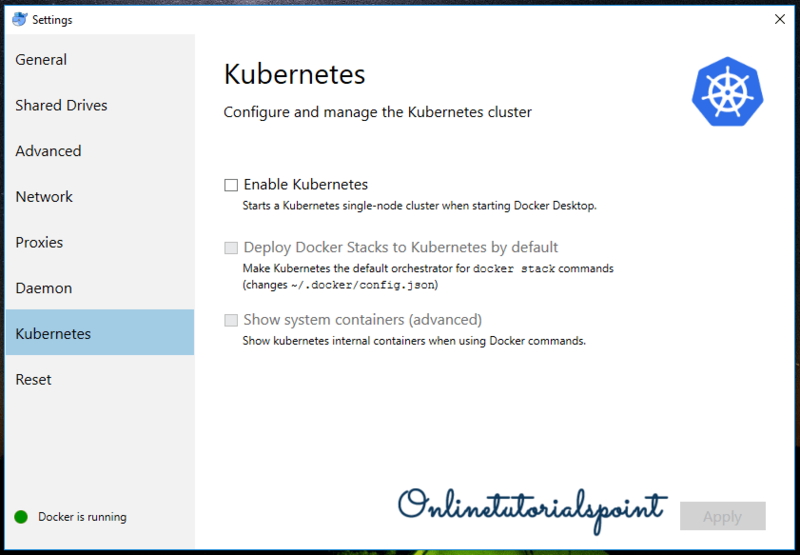 By enabling the kubernetes, by default it will start a single-node cluster for docker desktop. If you want to reset all your settings, you can do here.